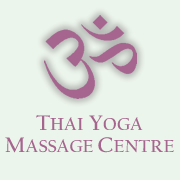 The Thai Yoga Massage Centre is located near Windlesham and Ascot, Surrey and Berkshire. Please get in touch if you are interested in our classes, our individual therapy sessions or you simply would like more information. "I've worked with Fiona for a number of years and her deep tissue and Thai yoga techniques I've found very beneficial to keep my back in shape."